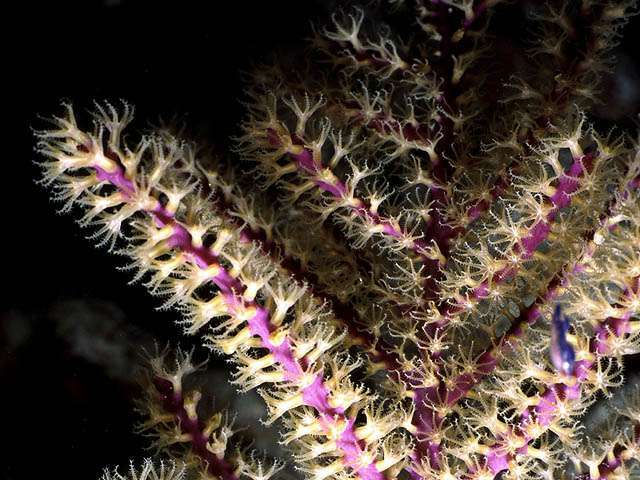 These ultra closeup pictures show the polyps of a Purple Sea Whip Coral. The Sea Whip Coral is a colony of hundreds of individual animals. Each animal is called a polyp (say "PAH-lip"). Each polyp is white and has 8 tentacles. Each polyp is about 1/4 of an inch tall. 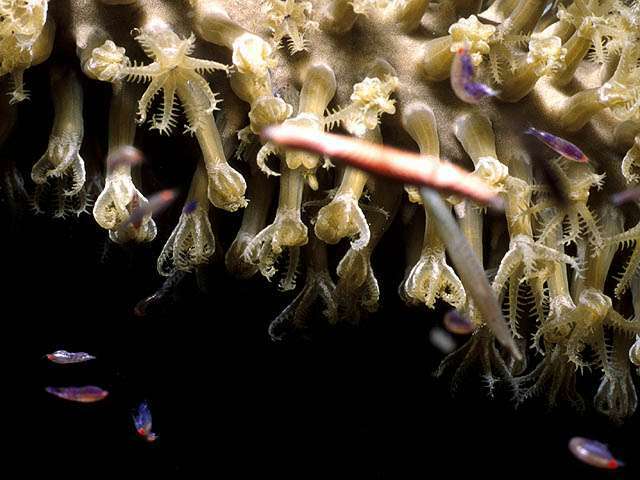 This picture shows the individual polyps in good detail. The 8 tentacles surround the mouth of the polyp. The mouth appears as a bright white spot in between the tentacles. Each tentacle is covered by short hair-like projections. Notice that the foot of the polyp is on a raised pedestal on the branch of the colony. The branch is built by the polyps. 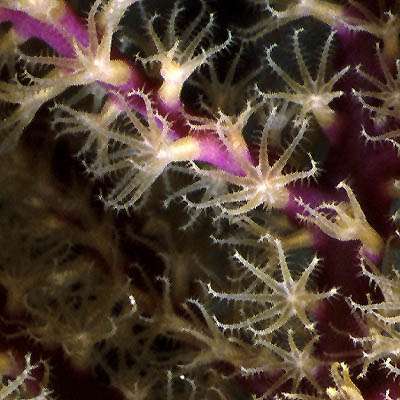 This amazing picture shows the tentacles of the Sea Whip Coral catching tiny sea creatures at night. The small swimming creatures may be young fish, barely 1/8 of an inch long. The tentacles curl around the prey and pull the prey into the polyp's mouth.